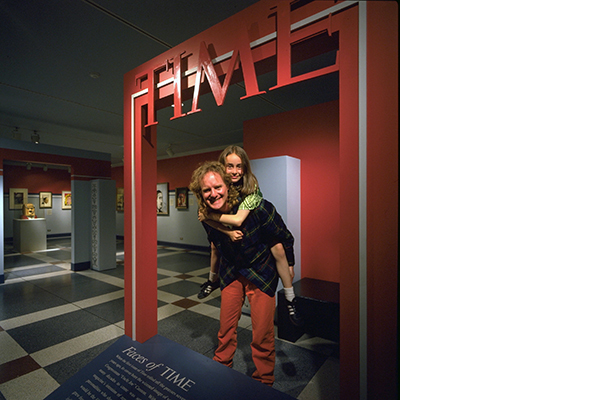 For anyone who has ever imagined herself on the cover of Time Magazine, a larger-than-life TIME cover portal allowed museum-goers to be the new cover story. 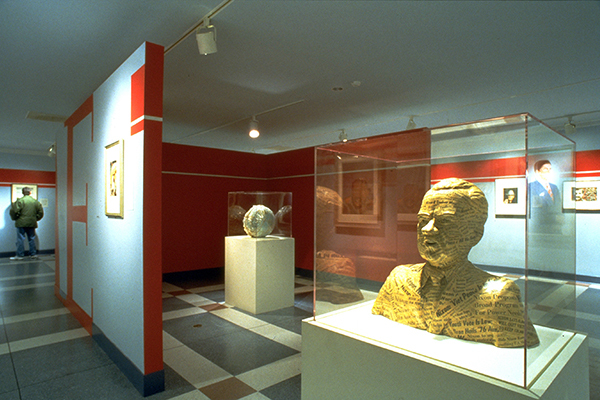 This playful element attracted visitors into the traveling exhibit gallery while introducing historical content. Sequences of cover portraits in various media, arranged chronologically and thematically, grouped protagonists in often-provocative relationships befitting the news media. The thoughtful arrangement of Faces of Time helped illustrate the amazing achievements of those selected to grace the coveted cover of TIME. 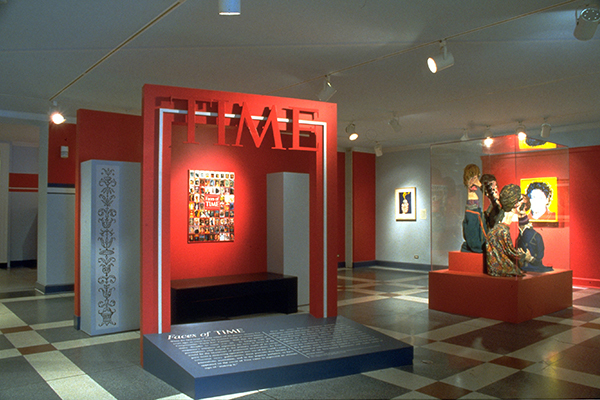 Strong, graphic elements from the venerable history of TIME magazine inspired the gallery’s bold backdrops of color and detail. 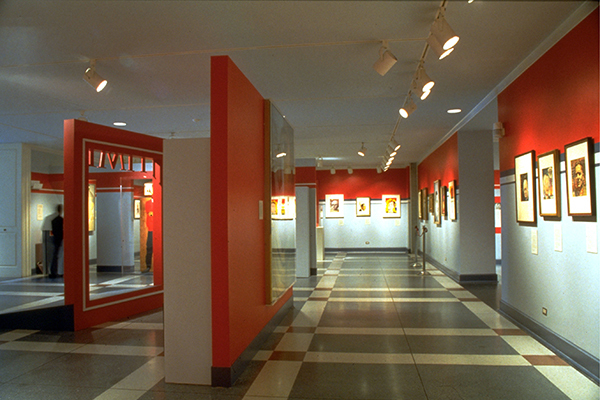 Bright red borders and oversized letters framed groupings of diverse subjects and media. 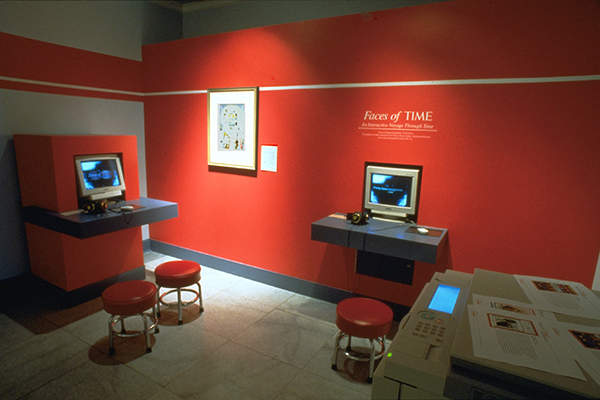 Developed in collaboration with educators and program staff, a computer interactive created visitor access to the collection and the ability to print out and take home cover stories. The combination of compelling imagery and story lines alongside a dynamic hands-on design resulted in increased family attendance and unprecedented press coverage. 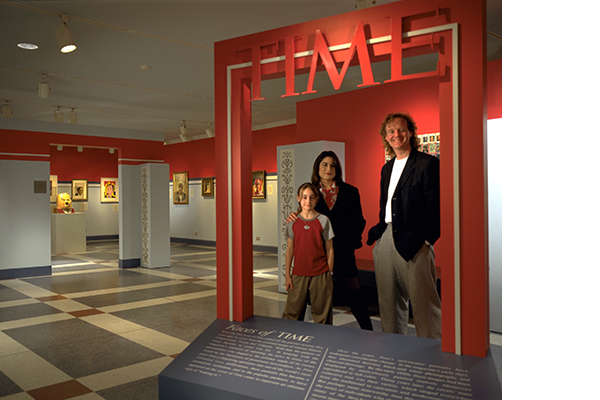 Chicago architect Peter Exley designed the gallery, creating boxy, red wooden frames that roughly emulate Time covers and their distinctive red borders. ~ Chicago Sun-Times Weekend Plus Edition. Interior Architecture & Exhibit Design: Architecture Is Fun, Inc.